Baby Boomer Davy's Locker: What were some of your favorite toys? One of the first things I can remember wanting when I was probably 6 or 7 years old was an air rifle. These were not like the famous BB gun in movie "A Christmas Story" that Ralphie wanted. These were not so dangerous but popular in the 1950's. They only shot a puff of air, although, being very ingenious kids... :-), we thought of sticking the end of the rifle into the dirt or mud which would load it with a small ball of dirt that would then shoot a few feet distance from the puff of air...still far less dangerous than small BB's, unless you pointed at someone's face, which as far as I remember, I never heard of anyone doing. :-) I can remember wanting that rifle as badly as Ralphie and when I finally got one, it was only a week old or so until the neighborhood big kid bully, took it off of me and broke it. Obviously a child who had no love in his own house and was jealous of anyone who had anything that he could not have. Thank goodness we also had the neighborhood "good" big kid, who would most often protect us from our bully. Some other favorite toys were a plastic airplane that was actually a seaplane so I could take it in the tub and it would land on the water.... how great was our imaginations when we were very young. Everything we imagined became large as life in our minds. Some times that was not so good when it came in the form of bad nightmares! 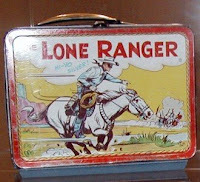 I remember getting a new metal lunch box at the start of every grade school year. We went to a one room per grade public school that had the "cloak rooms" for our coats. Those rooms had both good memories and scary one. Cloak rooms were kind of neat because you walked to school, much like in "The Christmas Story" movie, even though that movie was set in the 1940's, the schools of the 1950's had not obviously changed, as they still had one room that you stayed in all day and each had the clock rooms. Some times, the bad kids, always boys, were taken in the clock room and paddled, back in the days when teachers were allowed to paddle children. I was never paddled as the few times I saw or heard someone getting paddled was enough to make me so fearful that I was as good as I could be. Lincoln Logs were very huge in the 1950's as were the Erector Sets. Erector Sets were REALLY a favorite for boys. For anyone who doesn't know, they were kits of metal parts, nuts and bolts, that you would build into cars, bridges, cranes, etc. and had a motor which would make the things you built move and do things. In those days, that was amazing. Today's technological toys put the toys of my youth to shame, but to us back then, it was amazing to be able to make those things. One of the earlier building toys was Tinker Toys, which were wooden sticks of various lengths that would connect to wooden circular hubs in order to build whatever you imagination could think of. Obviously, parents weren't as concerned with what could happen to their kids in the 1950's as they are today as some of our favorite toys were chemistry sets that had some chemicals that would be considered dangerous today. 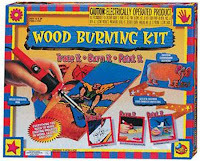 We also had our wood burning kits, which had the pen like object that plugged in and got very hot, enough to burn marks into wood so we could draw pictures or draw our names and such. You could put various tips on the end of the burner as if we would get that artistic. Mostly, we would just write our names and get bored with or burn our fingers, and our parents took the kit away from us. There were often stories of someone you knew who practically made some type of explosion with their chemistry sets. Man were parents and companies crazy or what back then???? All types of guns and army toys were big with boys. G. I. Joe was a huge toy. It was really like Barbie's Ken doll but an army guy with all kinds of accessories like tanks and guns. Of course we had all kinds of realistic looking guns and played imaginary war games. We never thought of them as a dangerous war like game connected with what wars are really like. To us, we were just having fun. We never thought of it in a negative way, but never the less, it really wouldn't promote the idea of being a peaceful like person. I have to say that even though we played with war like toys when we were young, we were still the generation that rebelled against war during the Vietnam years, so evidently, it didn't affect us in a negative way. 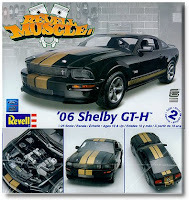 Building plastic models was VERY big when I was young. Everything from airplanes to cars and even monsters from the movies like Frankenstein and Dracula were popular. I would hours and hours building models and then displaying them in my room. We would paint them and glue them, supposedly with dangerous chemical laden paints and glue, but I don't remember it ever affecting me. I would have never have even dreamed of trying to get high or sniffing those things... all I wanted to do was spend hours painting in great detail all the parts and gluing all the hundreds of pieces together. I think building models was my favorite thing up until I was about 14 years old. 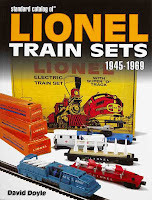 Of course one of the most favorite toys during the 1950's and on were electric trains that we would get out of storage when Christmas was approaching. My dad would build train platforms that when put together would give us a 12 foot by 8 foot area to build our display. Obviously even today model railroading is a very popular hobby. In my youth, it was only a Christmas time event. I remember one year my father putting the train display platform in our house's living room. It consumed the entire living room and to get in the house, you opened the front door and then hugged the two walls with only about 3 feet of space to walk around the display before getting to the dining room. We put this up while my mother was a work as she would have never allowed my dad to do this and I do remember some loud voices that night when I went to bed, but we had it up all that Christmas. I can't believe we did that! My father always went overboard at Christmas time, but those are our family's greatest memories! Had to check out your site after hearing about it from Bev Mahone. Glad I did! You just took me for a walk down memory lane. I must not have been your "typical" girl because except for the air rifle, these were some of my favorite toys as well. I had toy guns and model cars. I even had the chemistry set, although I don't remember actually blowing anything up. I even had a dissecting kit, although I don't remember every dissecting anything either. I loved my Lincoln Logs, Tinker Toys and Erector sets. And I did have a Barbie along with my GI Joe. I remember the metal lunchbox and the cloak room at school. My lunchbox always had the latest hot cartoon character on it. It's good to know that life had still not changed all that much even in the 60's - or at least it hadn't in the small town where I grew up. Take care and thanks again for reading my blog.